In parallel with FIRM13, the new ERA-NET PLUS Infravation programme, supported by CEDR, organised the first Road Infrastructure Innovation Expo for delegates to browse stands to learn about innovative solutions being developed by SME's to improve road infrastructure. 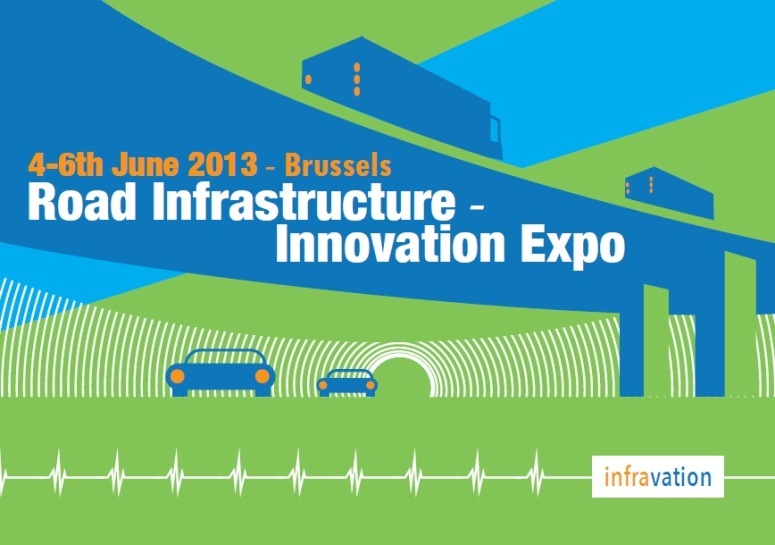 This Expo was opened on the evening of 4th June with a cocktail and introduction to Infravation by CEDR Executive Board Chair and FEHRL President, Joris Al of Rijkswaterstaat. This first session on 5th June featured a rich blend of high-level speakers from the National Road Authorities (NRAs) and European Commission (EC), giving a harmonious mix of policy-focused and more technically-oriented presentations. 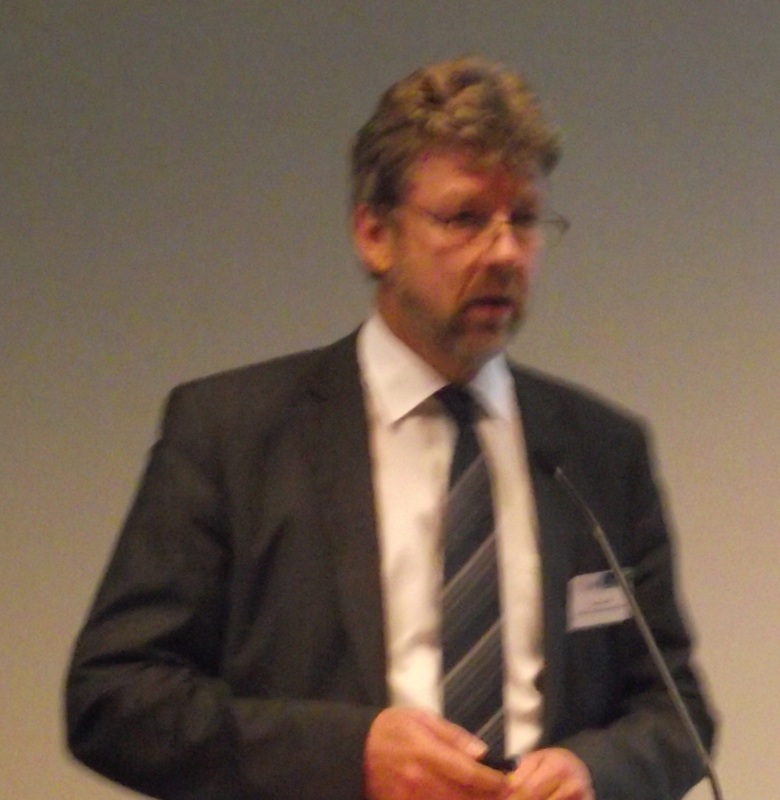 Joris Al opened the meeting by reminding people of the history of FIRM13 and FEHRL’s role to progress Advanced and Innovative Construction and Maintenance through its vision, flagship Forever Open Road (FOR) programme and work to develop Infravation. From the EC, Paul Verhoef of DG MOVE underlined why transport infrastructure was a must for our economy and was high on his unit’s list of priorities with a focus on delivery and deployment. Rudolf Strohmeier of DG Research & Innovation (see photo to right with Joris Al) complemented his colleague’s presentation with information about Horizon 2020 and the EC’s plans for road research. He again highlighted the crucial role that infrastructure research will play in the development of the 21st century transport system. 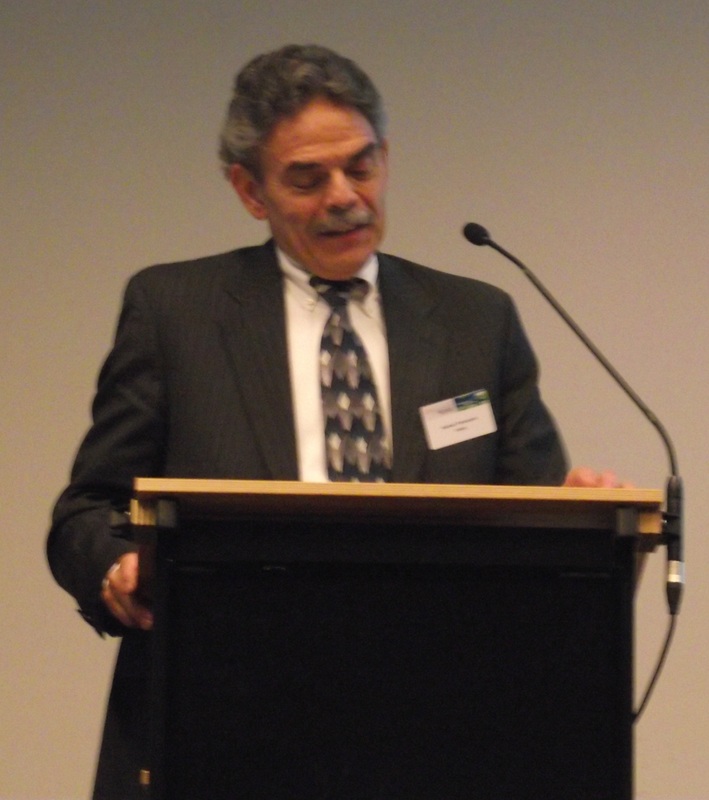 Michael Trentacoste of the USA's Federal Highway Administration (FHWA) (see photo to right) gave a concise overview of the research work carried out by his organisation’s Turner-Fairbank Highway Research Center, as well as its research challenges and objectives, implementation of results and international collaborative framework. His presentation included reference to FHWA’s Exploratory Advanced Research (EAR) programme, which is affiliated to FEHRL’s FOR programme. Two other FOR-affiliated programmes, the Norwegian Coastal Highway route E39 programme and the German “Road in the 21st Century” road research programme were also presented by Olaf Ellervet of the Norwegian Public Road Authority (NPRA) and Ursula Blume of the Bundesanstalt für Straßenwesen (BASt – the German Federal Highway Research Institute). The rest of the meeting took place in parallel sessions where people selected topics as diverse as Greening of Road Infrastructure by Rolling Resistance, Infrastructure Innovation and Implementation and Adaptation to Climate Change. The Greening of Road Infrastructure by Rolling Resistance session featured as a satellite event for Green Week 2013 organised by the EC's DG Environment and included an overview of the related MIRIAM II, MIRAVEC, LORRY and COOEE projects. Infrastructure Innovation was a packed session which covered an overview and scope of the Infravation programme and activities and the results of the contributing US Scanning Tour. The theme was picked up in the following Implementation of Innovation session where an industry perspective was given by the European Network of Construction (ENCORD) companies for R&D and the EUREKA Secretariat and a standards perspective by CEN-CENELEC. FEHRL member l’Institut français des sciences et technologies des transports, de l’aménagement et des réseaux (IFSTTAR) also presented its FOR-associated Route de la 5ème generation programme. And at the end of FIRM13 a fruitful Infravation workshop on innovations was held to harvest ideas and input for the programme’s forthcoming Scoping Study. The FOR programme featured several times throughout the programme, including in the Adaptation to Climate Change session where the Resilient Road roadmap was presented along with other linked national projects in Austria, Germany and the Netherlands (see photo to right of FEHRL Executive Chairman Bojan Leben of ZAG chairing this session). Two separate sessions were also held for the newly produced Asset Management Challenges for Road Networks and Transport Infrastructure Integrated with Land-Use Planning (TIILUP) roadmaps with engaging speakers bringing these roadmaps to life. Other sessions included Stakeholder view on use of advanced monitoring in road asset management and Innovation for Railway Infrastructure, which tackled, respectively, the TRIMM and SMARTRAIL and MAINLINE projects. Knowledge transfer of infrastructure research sits at the heart of FEHRL’s work and at this session, FEHRL members presented their achievements within the TEAM, Pilot4Safety and INCRIS projects. The TEAM project also held its final symposium to present the innovative work carried out by the PhD students (see photo to right of Eugene O'Brien of UCD presenting at the TEAM symposium). Copies of all the presentations, photos, videos and other associated materials can be found in the KC File Zone and more information about FIRM13 can be found at http://www.fehrl.org/firm13. The objective of this Expo was to raise awareness of Infravation, promote brokerage activities and contribute to the development of the final call. Some 17 SMEs from six countries had booths to demonstrate their innovative products and more detail about them can be found here.